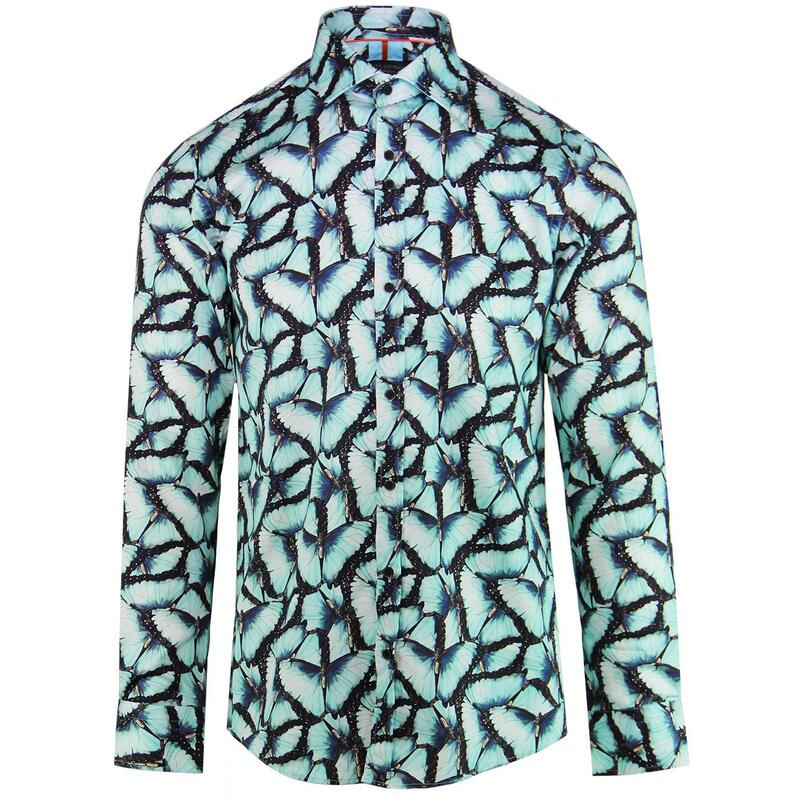 Guide London men's retro blue morpho butterfly print shirt. A sublime psychedelic 1960s style shirt that is sure to stand out. A shirt for the avid lepidopterist or as The Jam song goes, 'Butterfly Collector'! Featuring a striking light blue butterfly repeat print throughout. Guide London's typical button sequence to the placket adds the finishing touch. 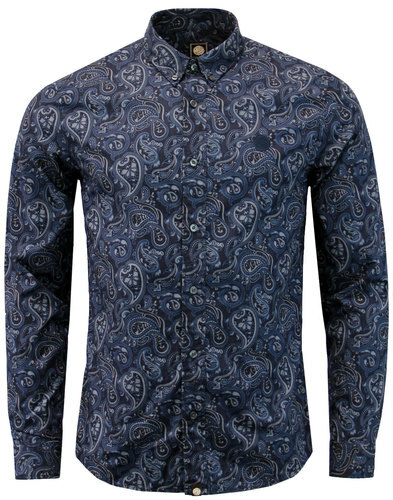 A truly stylish and eye catching men's shirt that is perfect for adding a dandy mod edge to smart-casual attire. 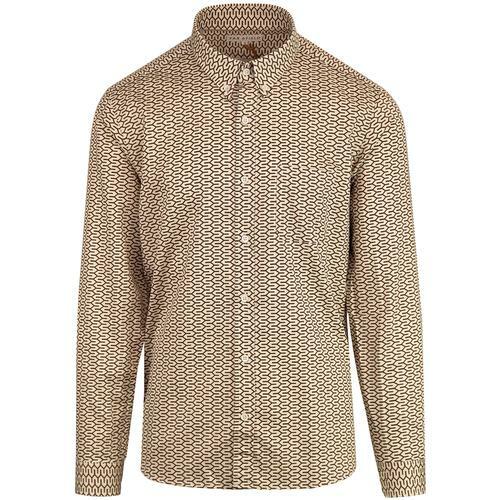 Guide London Butterfly print men's shirt.